NextKava for Anxiety and Insomnia: Effective? Safe? I’m on Day 4 of SRT and it isn’t going well. I finally had an appointment with a sleep therapist last week. He talked to me about SRT and gave me a 7-hour sleep window, from 11 p.m. to 6 a.m. My usual bedtime is 9:30 so I had some apprehensions. But I started 4 days ago. Since then I haven’t slept more than 3 hours a night. It’s really hard for me to stay up till 11, and then when I get in bed I’m wide awake! In the morning I’m so tired I can hardly keep my eyes open! Is this normal? I’m afraid I may be a treatment failure. Any advice? The first few weeks of SRT are not much fun. Your time in bed is cut short at night and naps are not allowed. It can be hard to figure out what to do during the extra hours you’re up. In the daytime you may feel sleep deprived: exhausted, cranky, off your game. Research suggests it’s not abnormal. Results of a study of 16 insomniacs in the UK showed that while their sleep was greatly improved following SRT, during the first few weeks of treatment, they were sleep deprived. Like Jane Fonda said: no pain, no gain! Jenny’s experience of the first few days of SRT is not so unusual. But nowhere in her email—or in the others I received—was there any mention of having kept a sleep diary* during the week before treatment. Also, all 4 I heard from were starting SRT with rather generous sleep windows: 6.5, 7, and even 8 hours in bed. Yet they didn’t say how those sleep windows were established. But I suspect that at least some who wrote had plunged right in to sleep restriction without filling out a sleep diary the week before and that their sleep windows were set arbitrarily. This can make the first week of sleep restriction even rockier than it needs to be—and might lead people to think the treatment is failing and quit. To set your sleep window (time allowed in bed) at the start of SRT, you need to know how much sleep you’re getting from night to night. Maybe you have a pretty good idea of that already. In reality, though, most insomnia sufferers are not very good at estimating sleep duration. Keeping a sleep diary during the week before treatment won’t necessarily make your estimate more accurate—but it might. By noting in the diary how many times you wake up each night, how long the wake-ups last, and the variability in your sleep from night to night, you might get a more realistic read on the average number of hours you sleep. You discover you’re a 6-hour sleeper? Start SRT with a 6-hour sleep window. You’re sleeping 5 hours 15 minutes a night? Start with a 5.25-hour sleep window. There’s one exception: most sleep experts (but not all) recommend starting SRT with nothing less than a 5-hour sleep window. So 4-hour sleepers are usually advised to start with a 5-hour window. If you start with a too-small sleep window, you’ll wind up very sleep deprived. But if your sleep window is too generous (as I suspect may have been the case for Jenny and the others who wrote in), you’re likely to continue with the same broken sleep pattern you’ve known from before. This could sour you on sleep restriction even before you’re off the ground. So keep a sleep diary for a week before starting SRT and set your sleep window accordingly. It’s the quickest path to success. * Download this sleep diary from the National Sleep Foundation and make several copies for use during SRT. What was your experience like during the first week of sleep restriction therapy? First, Jenny should make sure nothing physical is causing her to lose sleep. If you have pain, restless limbs, overactive bladder, you’ll have to treat that first. Next, if Jenny’s “natural” bedtime was 9:30, perhaps it would be easier for her to go to bed then and get up early – that worked for me, probably because there were other people awake in my household to help keep ME awake. Starting sleep restriction at 6 hours helped me “kick start” my treatment without my worrying about getting too little sleep. It was also helpful to me to treat this as a long term project. I knew I could stay at 6 hours indefinitely if need be, so I didn’t stress about getting to the next level. Finally, I think it helps to know going in that it can take months (but not years) to heal (and heal is the correct verb) if one’s insomnia has been going on for awhile. Months which will include some discouraging setbacks. If you know this from the start, you can take these “normal” setbacks in stride and have the confidence to keep going. Thanks for offering these suggestions. It’s helpful to hear about the experience of SRT from people who’ve successfully come through it. The insider “tips” they can share sometimes diverge from what a sleep therapist might convey, but they’re no less useful. Anyone wanting to hear more about how Julie modified the sleep restriction protocol to suit her particular circumstances should take a look at this blog, where she discusses the process she went through from start to finish. And thanks to you, KL, for expressing your appreciation! Sleep logs can be very helpful. People with sleep state misperception, often the ones asked to do SR, get a better handle on how much they are actually sleeping by doing sleep logs. This takes most of the guesswork out of SR. This can be challenging because what Jenny described is a common experience: sleepy out of bed during restriction, then quickly alert in bed after restriction. This is likely a conditioned response that can persist while SR is being employed. As you wrote, SR can take weeks. The behavioral technique of Intensive Sleep Retraining (ISR) (Harris 2012) may help 1) give a person doing SR something productive to do during restriction, and 2) perhaps shorten the total duration of SR therapy overall. ISR is not available in sleep labs, but the research group at Flinders Univ in Adelaide, AU, is testing shorter ISR protocols. Perhaps one day it will be a standard procedure in sleep labs. Disclosure: I released a smartphone app that offers a variation of ISR. The app is undergoing validation study at Flinders Univ. Thanks for offering these insights about the value of sleep diaries and the conditioning behind the phenomenon of feeling sleepy in the evening and wide awake in bed. It’s great that you’ve connected with researchers promoting intensive sleep retraining in Australia and that your smartphone app is undergoing the study at Flinders. ISR could shorten the therapeutic process considerably. Maybe it will become a standard treatment for insomnia in the future. Best of luck! Somehow the idea of documenting my own sleep seems, I don’t know, artificial and imposed. But I keep hearing that that’s how it works so I guess there’s nothing lost for giving it a try. Yes, there is something disagreeable about the idea of having to be so vigilant and attentive to your sleep. Vigilance and and sleep are not exactly compatible! Yet you don’t write anything in the diary at night. It gets filled out partly in the evening and partly when you wake up in the morning. So it shouldn’t interfere with your sleep. On the contrary, diaries are helpful to many people with insomnia, who, as Michael points out above, get a better idea of how much they’re actually sleeping only after they’ve kept a diary for a while. I didn’t use a sleep journal, but I had a FitBit that tracked my sleep and I knew that I had two big problems – falling asleep and staying asleep. Melatonin helped me fall asleep, but I couldn’t find anything that kept me from waking up in the middle of the night and staying awake for a while. That’s when I turned to SRT. Though my FitBit-recorded sleep was about 4.5 hours a night, I started SRT at 5.5 hours. After a few nights, it was really hard to stay awake that late, but still I would not fall asleep right away without Melatonin. After a couple of weeks I stopped using Melatonin and by then my body was so tired it fell asleep right away even without it. After about 3 weeks I was sleeping through the night and then it was time to start adding back time in bed gradually, about 15 minutes per week. It was super hard to stay awake that late every night, but I stuck to the exact program because I didn’t want to have to do it over again! It’s been a little over 2 months and I sleep great now. I’m spending about 7-7.5 hours in bed. My FitBit doesn’t say I’m sleeping any better, but I definitely feel that I’m sleeping better and I don’t wake up in the middle of the night. They keys for me are waking up at the same time every day, not taking naps or sleeping in on the weekend, not going to bed unless I’m sleepy. Sometimes the last one is hard if I’m keyed up about something – mindful meditation helps, I found an app called “Headspace” that I really like. In my opinion, you really do have to get your body to the point where it’s so tired that it has to use all the time you give it in bed for sleeping. I think that’s what resets your behavior. This is fabulous news! Like Julie above, you’ve taken the sleep restriction protocol and kept the underlying principles while modifying some details to suit your needs and circumstances. Thanks for sharing the process you went through and the results you’ve achieved! I’ll repeat what you say were the “keys” for you because of their importance: waking up at the same time every day, not taking naps or sleeping in on the weekend, and not going to bed unless you’re sleepy. (This last guideline is taken from Stimulus Control Therapy, which complements SRT nicely.) The Headspace app sounds interesting, too. I went back and forth about including a section on sleep trackers in this blog post. Ultimately I decided against it, because including it would have made the post too long. But now that you’ve brought it up, I think your experience with the Fitbit speaks for itself. The majority of fitness trackers determine whether you’re asleep or awake by detecting (or not detecting) body movement. So they’re not particularly accurate at measuring the sleep of people with insomnia. But the Fitbit’s current assessment of your sleep is not really what’s important here: it’s how much you FEEL you’re sleeping—and the quality of your sleep—that counts. Again, thanks for writing in. Besides the melatonin, which I mentioned, I took a daily multi vitamin at night and daily b-50 complex in the morning (most mornings) and calcium with magnesium both morning and night. Once I got off the melatonin, the only thing I took that I think is sleep-related is 5-HTP, which I started taking near the end of my SRT. I tend to worry a lot, and I found that 5-HTP reduced my worrying and this helped keep me from lying awake at night occasionally, once my sleep times got past 7 hours. I found out about 5-HTP from a book called The Mood Cure, it has instructions on who should take it, how much, and when. I mentioned it to the therapist who was helping me with SRT and she encouraged me to try it. I’m still taking it, and it helps keep me from worrying too much during the day, as well. Good luck with your SRT! Thank you heaps Jen for responding so quickly, we don’t have 5htp here in Australia, I am taking magnesium and Ashwagandha to lower my anxiety about sleeping. Plus the vitamin b complex in the morning. I found my anxiety about sleeping, itself, went away after doing SRT. This is because I learned from the experience that I could have several days of poor sleep and still function passably. By the way, I did start a sleep journal AFTER starting the CBT-I program and SRT, and I did find it helpful. It allowed me to see, for example, how naps negatively affect my sleep that night. I also tracked things like exercise and TV watching before bed to note any effects. I’m glad you’re mentioning some of the other benefits of keeping a sleep diary. Tracking the effects of exercise on sleep, for example, or the effects of drinking alcohol at night can be enlightening. 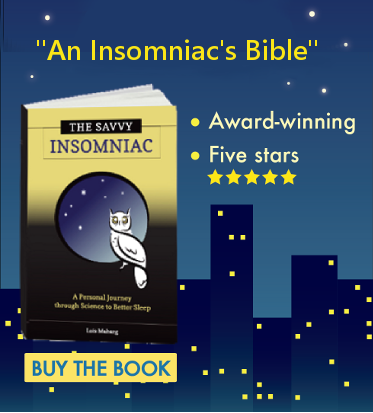 I document my own experience of SRT in chapter 8 of my book (THE SAVVY INSOMNIAC). One important thing I learned from keeping a sleep diary was that while morning exercise had no effect on my sleep, exercise late in the afternoon or early in the evening had beneficial effects. It helped me get to sleep sooner and sleep more deeply. Thanks for bringing up some of the other ways sleep diaries can help. I believe a sleep diary is essential, not least because improvements are often gradual and it’s invaluable to be able to look back and see the changes over time. I still keep my sleep diary after 10+ months, and will continue with it for now. SRT has definitely been a long term project in my case too. But after about 8 years of sleep maintenance insomnia my restless nights weren’t going to disappear quickly. The first week was the hardest for me too. After that very tough first week, my sleep quality improved dramatically, and I felt much more refreshed in the morning, a major breakthrough at a pretty early stage. I’d needed to set my sleep window at the minimum 5 hours because my sleep was so poor. It took me a month to actually sleep for 5 hours. Improvements were gradual, but did continue over the months. After 6 months I was occasionally managing 7 hours per night. Now, after 10 months of SRT, my average is just over 7 hours per night (yes, heaven!). Like Julie I much prefer to go to bed earlier and get up early (definitely not a night owl), so at the beginning I was going to sleep about 10pm and getting up by 3am. As my sleep window has grown, I’ve been able to gradually move bedtime forward by about an hour. But during the hardest early weeks it was much easier not to try and fight my natural body clock, SRT was tough enough at the beginning without that added stress. It’s wonderful that you’re now getting just over 7 hours of sleep a night! And thank you for writing in to say so. It’s stories from people like you—who’ve been there and done that—that motivate people to try SRT and give them hope that they too can succeed in improving their sleep. It’s good you mentioned the issue of the timing of the sleep window. Sleep restriction overall is pretty rule bound. But one thing you are allowed to do is choose where your sleep window falls during the night. A person with a 5-hour sleep window can decide to sleep from 12 to 5 or from 10 to 3, as you did—but once the sleep window is chosen, it’s set for the week. I’m so glad to hear that your sleep has continued to improve. Thanks again for writing in! I know exactly what you mean about nodding off like that, it’s sooo hard to resist when that sleepy stage arrives. What are you usually doing in the evening at that time? The worst thing for me is to sit and watch television, but unfortunately that’s what we are normally doing at that time of night. Ideally when that dozy stage starts I would instead get up and potter around, doing little chores like tidying in the kitchen, preparing food for the next day, sorting washing etc. If you do want to carry on sitting down you could try my latest solution. I sit on the floor cross legged, on a folded blanket, with no back support so I have no choice but to sit up straight, and can then carry on watching TV. So far I’ve not managed to fall asleep in that position. Give me any back support at all and I’d be well away in the land of nod! The other alternative is for you to bring forward your sleep window to 10.30pm to 3.30am. If you are a naturally a morning person like me this may suit you better. Yes I know it feels very unsociable being up at 3.30am, but that to me was far preferable to fighting my natural body clock and fighting to stay awake after 10.30pm. It’s amazing how much you can get done early at that time of day mind you, with no interruptions or distractions. I’ve not tried exercising in the evenings, although I know it is strongly recommended, mornings suit my body clock far more. I have tried several supplements, but nothing seemed to make any difference. SRT was certainly the answer for me, I hope it is for you too. Lots and lots of luck Moe! Thank you so much for replying so quickly. I usually lay down on the couch and watch tele when i unintentionally nod off. Even if i manage to wake myself up while nodding off the urge to nap is so strong. It’s very hard for me not to sit on the couch because i live alone (my only option is to watch tv on the couch). A month ago while i was on holidays in thailand i went to bed at 10.15pm and woke up around 4.15-4.30pm. But after i returned to australia this sleeping pattern was disrupted with jet lag and daylight saving which started 2 days later. This is so frustrating and i feel so helpless.How was ur progress in the 1st month of sleep restriction? Do you sleep in for an extra 30 mins to an hour on your days off after your sleep normalised? The early stages of SRT certainly were frustrating for me too, to be honest it’s probably inevitable to feel like that at the beginning. Try and remind yourself it’s only a phase and will get better, but it does take time, and we are all different in the way we respond to SRT. My first month was definitely not a straight line, the amount of sleep was fairly erratic, between 3.5 and 5 hours. Looking back on my sleep log the average over the whole of the first month was 4.5 hours. The last week of the month I was up to sleeping around 5 hours per night. But the crucial point for me was that the quality of my sleep improved so much. So although my quantity didn’t rapidly increase, the quality did on most nights from the second week onwards. 5 good hours of sleep is so much more refreshing than 7+ restless hours of tossing and turning, clock watching, sighing and cursing yourself for not being able to sleep! No I don’t sleep in on days off, I keep roughly to the same pattern regardless. Social evening events obviously can sometimes interfere with that of course. I too came back from holiday a few weeks’ ago and the change in sleeping times mucked my routine up too, and the clocks changing here next weekend will cause me some disruption as well, so you’re not alone. Since my holiday I’ve been waking between 2.30am and 4.30am, gradually getting later now. The big difference after 18 months of SRT, is that I don’t stress over it like I used to. It is still annoying yes, but I know it’s not the end of the world, it won’t hurt me, and will be temporary. Sounds like we have exactly the same problem with sofas then, that fatal attraction! So I’d definitely advise you to try your utmost to stay off the sofa during that vulnerable last hour of your evening, and for TV watching try and make yourself sit on the floor, or otherwise potter around at home. I sometimes do a few yoga stretches while I’m on the floor and watching TV at the same time, which helps keep my brain a bit more alert. Or as I suggested, bring your sleep window forward by 30 minutes or so. I’ll think of you tonight when I’m sitting on the floor watching TV near my bedtime! I took it as a good sign that I felt like nodding off, because it meant sleep was coming more easily for me. I looked forward to going to bed and falling asleep right away. This didn’t happen for me in the 2nd week, however, It took me until the 3rd or 4th week. After the 4th week I added back 15 minutes of sleep, and another after the 5th and 6th weeks and that’s when things started to get more manageable in terms of staying awake until my appointed bedtime. Sounds like you are doing well, especially if you are sleeping 4:45 out of 5 hours! ive been considering SRT for some time, however i am currently taking trazodone (50mg). should i wait until i am off the trazodone before starting SRT? its very lonely here in insomnia land. i have very little guidance from health professionals and cant decide if i should stop the trazodone and really work on my insomnia or keep the trazodone for fear sleep would be much worse without it! glad i found your blog! I agree with you: insomnia can be a lonely affair. But it’s great that you’re looking for ways to manage yours so it doesn’t interfere so much with the quality of your life. Re: your questions about medication and SRT, the medication part is something to talk about with your doctor. If your current doctor is not giving you much guidance, then it’s time to look for another. I think it might be a good idea to find a behavioral sleep specialist. These doctors and psychologists are trained to diagnose sleep disorders and provide treatments like sleep restriction, which is normally offered during the course of cognitive-behavioral therapy for insomnia (CBT-I). With the help of a good guidebook, it is possible to undergo SRT on your own. I did, and I was happy with the result. I talk about it at length in chapter 8 of my book, The Savvy Insomniac. Since medication is an issue for you, though, you really should consult a doctor first and see what he or she recommends. It sounds like you’re ready to move forward with this and I wish you the best of luck! This is wonderful news. Thanks for taking time to share it. Mentioning that you used ACT (acceptance and commitment therapy) to deal with your anxiety during SRT really adds to the discussion. Other people who visit this blog may want to check it out. I agree that during SRT, really sticking to the program (not “cheating”) can make a difference in how quickly you progress and how far you go. It’s great that you’re now sleeping 7 hours a night and that, with some reading, you essentially managed to accomplish this on your own. Again, thanks for writing in. I think the use of ACT (acceptance and commitment therapy) worked better for me to overcome my anxiety during SRT worked better for me compared to CBT is because ACT has a more practicale approach. It’s important to let go of unhelpful thoughts and worries without struggling with them. Also Putting your sleep on a pedestal can cause a lot of anxiety. It’s important to act normal around your sleep like how a normal sleeper would do. I fell into the trap of spending more time in bed to try to make up for poor nights of sleep (mostly due to recovering from a brain injury which requires a lot rest the first days/weeks). I kept a sleep log for a week and found I was spending 10-11 hrs in bed and getting approx. 6.5 hours of highly fragmented sleep (may have been sleeping more but the high fragmentation distorted my perception of time) and I could not get quality sleep after 5AM. I started SRT on May 26. I decided to go to bed at midnight and rise at 5:45 AM. On the first week, my efficiency was inconsistent, between 77% and 84%. Mornings were very rough and I often fell asleep (micronaps) when sitting on the couch. On week 2, I decided to play around with the bed time a bit.I was not satisfied with 80% and I was determined to fix sleep issues as quickly as possible. In week 2 there was one morning where I refused to get up and slept until 6:30. this was followed by a poor night of sleep. In week 3 (this week) this has happened to me twice. The first time it was followed by a night of poor sleep. And I am expecting tonight to not be so good since I slept in this morning. I bought caffeine pills which I will begin taking first thing in the morning to finally eliminate the micronaps and to avoid sleeping in. Easier said than done.And I’ll make a concerted effort to walk my dog first thing in the morning as opposed to waiting until its time to leave for work. Despite the naps/sleep-in in the mornings, I think I’ve made decent progress. I’ve felt small improvements in my energy throughout the day despite not having increase my total time in bed. Some of it attributable to sleep some of it due to recovery from the brain injury. I hope the caffeine pills will help me stay up in the mornings.Once I get past 10am, I am generally okay with staying awake. Also, Im going to start using a 7 day moving average as opposed to a weekly mean average to calculate the efficiency. Therefore I have a daily update and more determination to follow through. I dont really get anxiety around bedtime so it should not be an issue. I’m sorry to hear about the brain injury and hope your recovery from that is going smoothly. Spending lots of time in bed can set you up to experience fragmented sleep. Undergoing sleep restriction should help to consolidate your sleep and improve your sleep efficiency. It sounds as though you understand the process and are filling out your sleep diary every day. But maybe you’d make faster progress if you stopped calculating your sleep efficiency daily and waited to calculate it until the end of the week–which is what the protocol calls for. At any rate, I’m glad you’re making progress with the therapy and I expect you’ll make even more progress as time goes by. Would it be time to increase bed time by 10-15 mins? Or should I shoot for another week of 90% efficiency? I ask because I did have 2 nights of bad sleep at the end of week 5. Does this matter at all? Your sleep efficiency has improved over time and now it’s really very good. If over the past week it’s averaged 90 percent, then it’s time to increase your time in bed by 15 minutes. Night-to-night variation in total sleep time is relatively unimportant. Good sleepers, too, sleep better on some nights than on others. It’s normal. What really matters is your weekly average. A 90 percent (or better) average sleep efficiency is where you want to be. Keep following the protocol and you may find you’re able to add still more time in bed and that the quality of your sleep improves as well. What should you do if you come down with a cold while you’re doing sleep restriction therapy? Should you stick to the therapy, or take a break to rest up so that you can heal from the cold faster? I started feeling sick a few days ago, and I was stumped as to whether I should continue with my allowed time in bed (5 hours and 45 minutes) or allow myself to go to bed earlier/rest in bed, even though I was awake. I don’t know that there’s an official guideline on how to manage if you get sick while you’re going through sleep restriction. I do know what I’d do, though. Bed rest is always recommended for people with colds. If I were you, I’d be flexible about my time in bed while I was recovering. If possible, I’d stick to the prescribed wake-up time (which for you must be 5 a.m.). That will make it easier to return to the same 5-hour and 45-minute sleep schedule once the cold is gone. For now, as you’re recovering, I wouldn’t worry too much about going to bed earlier than the prescribed bedtime or even about taking a short nap. You can always tighten up the sleep window once you’re feeling better again. Regarding your sleep drive and sleeping through the night, no matter where you are in the sleep restriction process, if you spend more time in bed than the process calls for, then it’s likely your sleep efficiency will go down—meaning you’ll be spending more time awake in bed. There’s nothing abnormal in what you’ve written here and it’s certainly nothing to be alarmed about. What I’d suggest is that you focus now on getting better—and then return to the sleep restriction process as prescribed. Good luck in getting better and improving your sleep. Most people DO have success with sleep restriction if they stay with it long enough. Thank you, Lois. I am starting to see what other people mean when they say progress is not linear. I would really love to be able to sleep through the night, so there have been some weeks where, even though my sleep efficiency was above 85 percent, I was waking up before my alarm went off and I stuck to the same sleep window the next week, hoping I would build up enough sleep drive so that I’d be sleeping through the night. I started with a 5.5 hour window, stuck with that for awhile, then went up to 5.75 hours for a couple of weeks. My sleep efficiency at 5.75 hours has been good. I tried to expand to 6 hours last night, but again, woke up early, checked the time in spite of myself and saw that I had woken up around 3:30 (as I had the night that I went to bed early not feeling well). I went back to bed, hoping I could fall asleep before my alarm went off. I did not, and when the alarm sounded, I attempted to stay up for about 20 minutes before heading back to bed in frustration. Up until now, I’ve been very good about avoiding the bed outside of my sleep window, but I think getting sick has thrown me for a loop. Currently, I’m wondering what my next step should be. I’m debating between three different options. One, continue with my 6-hour sleep window, which I don’t really feel good about because I’m afraid my SE will plummet. Two, dial it back to 5.75 hours for another week, let sleep drive build up, and hopefully the following week I’ll be able to expand to 6 hours without a cold stopping my momentum (maybe at that point I’ll try waking up later instead of going to bed earlier). Three, restrict my sleep to 5 hours, in hopes that will help me sleep through the night and ideally continue to sleep through the night as my window gradually expands. Is that just wishful thinking, though? Part of me is scared I’ll go through all the trouble of restricting my sleep to five hours, only to see that I still experience the early-morning wake-ups once I start expanding my sleep window. I guess I’m just wondering how to tell the difference between knowing when to restrict your sleep further vs. having patience and faith in the process–i.e. being satisfied with your 85 percent even if you’re not sleeping through the night, which I guess is the root of my frustration. This exact thing happened to me when I was working through CBT-I with a therapist. She advised me to put my health first and sleep as needed until my cold was over. I was lucky and nipped it in the bud and only had to deviate from my schedule for a couple of days. Then I picked right back up where I left off and it was fine. Like you, I took longer than expected to sleep well through the night. I finally increased my duration by 15 minutes per week even though I hadn’t quite met my sleep efficiency goals. After adding back 30 minutes, everything clicked into place, I started sleeping better and feeling better. I wound up back at 7.5 hours, but now I have more energy and productivity during my waking hour than I did before, especially on the weekends. Thanks, Jenn, for taking time to relate your experience of sleep restriction here. It is so important for people going through a difficult therapeutic process to hear from people who’ve stuck with it long enough to reap the benefits. Being sick can screw life up for a while, especially if you’re going through sleep restriction. I can really relate to how frustrated you must feel! Waking up at night is a common symptom of insomnia, but it can also be a sign of sleep apnea. If you haven’t seen a sleep specialist to get a proper diagnosis, it might be a good idea to do that before going further. Waking up too early can also be a sign of depression. Maybe you don’t have either of these problems. But it couldn’t hurt to talk to a doctor to rule them out. Assuming your problem is in fact insomnia, then my suggestion would be to continue following the sleep restriction protocol to the letter. Use your calculation of sleep efficiency at the end of each week to determine whether during the following week you should add time to your sleep window, keep the same sleep window, or subtract 15 minutes from your sleep window. One other suggestion I’ll make is to avoid looking at the clock at night. Of course, you have to keep track of the time in the evening so you don’t go to bed before your prescribed bedtime. But after that, and until your alarm clock rings in the morning, try to keep from looking at the clock. Clock watching makes many people with insomnia anxious—and that’s something you want to steer clear of. Another thing I’ll mention here: we often hear we should be getting 7 to 8 hours of sleep a night. But I seem to do just fine on less. Especially after undergoing cognitive behavioral therapy for insomnia (including sleep restriction therapy), I found that my sleep became more consolidated and the quality of my sleep improved quite a lot (I document that process in Chapter 8 of my book). Fairly soon, I realized that it was the quality of my sleep—more so than how long I slept—that affected how I felt the next day. Anyway, I hope some of this helps. And I really need good, sane advice right now. According to my sleep diary this week, my average sleep time is around 3.5 hours. My problem is getting to sleep. Once I’m asleep I stay asleep. But it regularly takes me 3 to 4 hours to fall asleep, if I fall asleep at all. I’m capable of several nights in a row of zero sleep. Over the months this has been going on, I’ve become deeply phobic about that moment when you get into bed and turn the light out. My heart rate soars and no matter how much meditation/breathing exercises I do, it’s very hard to calm myself. I’m on the verge of having to give up work, and as a single parent, it’s increasingly-tough to put on a brave face in front of my daughter. So my question is this: I gather from this site and others that I should not go below a sleep window of 4.5 hours. Given that it takes me 3-4 hours to fall asleep no matter how tired I am, that would mean I’m likely to get no sleep most nights. Obviously that’s not going to work. The situation you describe, lying in bed for 3 to 4 hours waiting to fall asleep and then sleeping only 3.5 hours, is exactly the situation sleep restriction therapy was designed to correct. When you lie in bed wanting to sleep but unable to drift off, you can develop lots of anxiety about sleep. This anxiety makes it even harder to fall asleep. It prolongs, rather than lessens, insomnia. Also, lying in bed and “trying” to sleep is effortful, and anything requiring effort is not conducive to sleep. Your brain comes to associate the bed with wakefulness rather than sleep. It becomes a self-fulfilling proposition. The way to break this association is to avoid being in bed unless you’re sleeping or sleepy enough to fall asleep. Stimulus control therapy is one way of going about this. Sleep restriction therapy is another, although it may seem counterintuitive. If you begin SRT by restricting your time in bed to 4.5 hours a night (and the same 4.5 hours every night), you may feel somewhat sleep deprived for one or two weeks. Yet your brain will eventually demand more sleep. That’s just how humans and other living organisms work. Once enough sleep pressure builds up, when bedtime comes around, you won’t be able to stay awake. I too had lots of anxiety about sleep. During the first few days of therapy (a process I document in my book, The Savvy Insomniac) I hardly slept at all. Yet because I got so little sleep those first few days, my turn-around was quick to come. On the 4th night the pressure to sleep had built so high that it simply overpowered my extreme anxiety. I slept soundly the entire 4-hour-and-45-minute night. And continued to do so. You think it’s obvious SRT is not going to work in your situation. If you’re like a majority of insomniacs with the symptoms you describe, there’s a very good chance that SRT will work—if you take the time to understand the protocol and follow it to the letter. To read more about sleep restriction, just type “sleep restriction” in the site search box on the right side of this page. Thanks so much for this site – it’s sane and reassuring. Unfortunately the book costs a fortune in shipping to the UK from Amazon, and I don’t have a kindle…. I am really struggling and could do with some sane advice. According to my sleep diary, my average sleep time is 3.5 hours. My problem is getting to sleep. I can be literally hitting myself to stay awake but the moment I’m in bed the heart rate soars and it usually takes me 3-4 hours to calm myself, using meditation/deep breathing, even on those nights when I’ve not slept at all the night before. Stress caused the original insomnia but I’ve dealt with that and now it’s mostly a deep anxiety about that moment when I get into bed and turn out the light. I gather that the minimum sleep window is 4.5 hours. But given how long it takes me to go to sleep, that would mean no sleep for me. Obviously that’s not going to work. I’m a single parent and it’s getting harder to put on a brave face infront of my 10 year old. I’m also on the verge of not coping with work. I started sleep restriction and stimulus control about 15 weeks ago. I began seeing improvements in falling asleep more easily at about 3 weeks. My original bedtime was 1:40 and rising at 7am. But, after the 3rd or 4th week, I started not being sleepy at my bedtime. I struggle to stay awake until my bedtime, but a lot of the time I stay up until 2:30am, or I won’t be able to fall asleep. I’m still rising at 7am, not matter what time I go to bed, but am totally exhausted and feel very sleep deprived. So many weeks of this is very difficult. I like the ideas that some people posted about going to bed earlier and rising earlier, but for me, that isn’t an option since I am not sleepy earlier. I don’t want to give up (obviously, I’ve been at this for a long time), but keep wondering if this is eventually going to click. My anxiety about sleep has lessened drastically in these past weeks, but I feel like I’ve trained myself to live on less sleep instead of building a sleep drive. I am really self doubting right now – after a few weeks averaging maybe 5 hours of sleep (both days when I laid awake for hours and days when I fell asleep within a half hour but woke up multiple times or way too early), I decided to try online CBT-i. I kept a sleep journal for a week and got my recommendation – bed time no earlier than 11:30, wake up no later than 5:30. The first two nights were OK – night one I took 2-3 hours to fall asleep (getting up and doing something for a while after every half hour as recommended). The second night I feel asleep very quickly – success! (right?!?! ), but then woke up after 2.5 hours and was awake every 45 minutes for the rest of the night. Last night – after multiple rounds of almost but not quite falling asleep (I realize I am falling asleep and my brain sabotages me), I ended up trying melatonin – no luck. Then I ended up trying alcohol (I know! but my tired brain was desperate). Finally between 2:30 and 3 I fell asleep only to wake up at 5:15 AM when my son crawled in bed, and then couldn’t fall back asleep. I woke up with my heart beating so fast – I think my body was afraid that it had fallen asleep or something. Anyway – if I remember, I’ll try to update – I just wanted other people to know that starting this could be very hard! Getting by on 2 1/2 hours of sleep today will not be easy. Congratulations on your decision to go through CBT-I and start the treatment right by keeping a sleep diary for a week before restricting your sleep. The decision itself can be one of the hardest parts of therapy, especially for people who experience sleep anxiety. The thought of having to restrict my time in bed was so scary to me (what if I couldn’t sleep at all?) that I put off trying CBT-I for over a decade of my life—to my great regret now. The first week of sleep restriction is usually the hardest. It was for me. Facing down my fear of sleepless was one of the most difficult things I’ve done in my life, and I felt I needed to tell that story in chapter 8 of my book, The Savvy Insomniac. I wanted others with sleep anxiety to know how hard the first week of sleep restriction could be—not to dissuade them from going through therapy but rather so that they would go into the process with more realistic expectations of what they might experience during the first week of treatment, and to see that persisting with sleep restriction can result in great improvements to sleep. Your description of your nights now—trouble getting to sleep, or waking up to anxiety and not getting back to sleep—is very similar to what I experienced the first few nights of sleep restriction. But, and maybe this will be a comfort, if it’s true you’re getting only 2.5 hours of sleep a night, your sleep should turn around fairly soon. Your body simply won’t allow for too many 2.5-hour nights before it overrides your anxiety and puts you to sleep and keeps you sleeping through the night. My overall advice would be to stay the course, paying strict attention to all the rules. Here are a couple things to keep in mind: (1) melatonin does not work like a sleeping pill. So it’s not going to help in your situation. (I’ve blogged a lot about melatonin—type “melatonin” in the site search box at the top of this post for more information.) (2) During sleep restriction you have to watch the clock in the run-up to bedtime so you don’t get in bed too early. But once your prescribed bedtime rolls around, turn all clocks to the wall. Clock watching makes people anxious and that’s something you want to avoid. (3) Alcohol may help you fall asleep but later in the night may wake you up. Good luck with the process! And do write in again with an update. My sleep is greatly affected with temperature. It seems my body is too much sensitive with temperature while i am sleeping. Many times it has happened that i went to bed with optimal temperature. But as soon as my body sleeps, i wake up due to cold. Then i go to bed after switching off the fan or covering myself with bedsheet but then i can’t sleep because of hot. This is quite frustrating. Finally i manages to sleep after some try then after around 4-5 hours i wake up again due to cold (i have read somewhere that body temperature gets minimum after 4 -5 hrs of sleep, is it because of that?). Then again problem in sleeping because of sometimes feeling hot and sometimes cold. Now my insomnia has become so chronic that even if i feel right temperature but still i can’t sleep after 4-5 hours. Also, i don’t find any problem with temperature when i am awake. I have problem only i am sleeping. I currently sleeps 4-5 hours. I want to start SRT but i think it will not be effective unless i solve temperature issue. But i have tried everything but nothing works. Dos any body has faced similar problem or any help to offer? I too have trouble sleeping when I’m too cold or too hot. It may be because I’m particularly temperature sensitive. It’s normal for people’s body temperature to fluctuate at night and some people may have a harder time regulating this than others. By bedtime our core body temperature is starting to fall and reaches its low point about 2 hours before wake-up time. When I wake up cold, all I have to do is pull up a sheet or an extra blanket and then I can usually fall right back to sleep. We tend to lose the most heat through our extremities. I’ve heard that some people intentionally keep their feet outside the covers to keep from feeling too hot at night. When you wake up cold and reach for your bed sheet, try keeping your feet uncovered and see if that helps. Somehow the placement of your comment is not allowing me to respond to you directly, so I’m hoping you’ll see my response here at the bottom of the page. After 15 weeks of practicing sleep restriction and stimulus control, you’ve definitely made some gains. Your sleep anxiety is gone and it sounds like you’ve consolidated your sleep. Those are real achievements! But if you’re feeling totally exhausted and very sleep deprived, then some other adjustment needs to be made so you feel you’re getting the sleep you need. You haven’t mentioned working with a sleep therapist. If you aren’t doing so, this might be the time to consult a professional trained in behavioral sleep medicine. 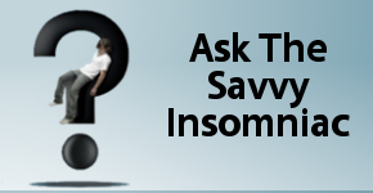 Following is a post where I offer information about how to contact sleep doctors and therapists: https://thesavvyinsomniac.com/2016/12/28/improve-your-sleep-with-cbt/ . Your situation sounds similar to mine, and I can tell you how I moved on from where you are now. It might or might not also work for you. What I realized, after several weeks of scheduling my sleep, was that I was fine with the idea of always getting up at the same time every morning. But having to watch the clock in the run-up to bedtime was making me anxious—and interfering with my ability to fall asleep. By then I knew how it felt to be sleepy enough to fall asleep. It wasn’t when I started yawning. It wasn’t when I first caught myself nodding over my book, or even the second or maybe even the third time. I was only sleepy enough to fall asleep when, after nodding several times, I was unable to keep my eyes open. So I decided to experiment. Around 9 or 10 p.m., I turned all my clocks to the wall. I was going to see if I could keep the gains I’d made with sleep sleep restriction without having to look at the clock to determine the appropriate bedtime. I did exactly what I’d learned to do in the run-up to bedtime—nodded over my book several times before I headed to bed. And it worked. This is now what I always do. And I go to sleep fairly quickly. In the summer, my rise time is 6 a.m. Since I turn my clocks to the wall after 9 or 10 p.m., I don’t know exactly how much sleep I’m getting. Sometimes I’m up to hear the midnight train whistle and sometimes I’m not. But most of the time I feel I’m getting the sleep I need. Good luck in improving your sleep until you, too, are getting the sleep you need. Thanks you for responding! Even though I feel like I’ve read everything I could get my hands on to help me with this, this site has been tremendously helpful for me! According to my doctor at the sleep clinic, I have no underlying health reasons for my insomnia these past 8 years. He also said there is no sleep therapist in my area, which is why I turned to the Shuti-I program online. I went through the program once with little success, but they graciously allowed me to restart the program and give it another go, free of charge, since they could see my determination. I will try your suggestions and stop looking at the clock and go to bed when I have trouble keeping my eyes open, instead of waiting for a set time. I agree that insomnia can be a lonely feeling. My husband and I have not slept in the same bed for years, because we were keeping each other awake! I want to get past this and live normally again! Thanks again for this information, and taking the time to respond! Hello. After reading about your story, I started to do CBT on my own. My insomnia started almost 3 years ago, after my youngest son was born. I have tried all the medicine out there, including Chinese traditional medicines, and canabis oil products. None of them work and I use to get only 1 hour of light sleep, even with most strongest pill. Also this light sleep was REM sleep for tge last 2 years and I started to have very strong constant headache.Now, I am in my 4th week and I do get 3.5 to 4.5 hours of REM sleep. Even my headache and pain in my eye are getting less, still suffer significantly from not skeeping enough. I have read all the comments on this site, but I did not see any person, who is suffering like me. I have several questions. Have you ever had a case like mine? Do I have chance to improve my situation? Will I ever get 7 hours of sleep again? Also, when insomniacs take pills, do they get deep, Non REM sleep? I never had deep sleep with any medicine. My husband is recommending me take coffee in the morning. Can I have coffee at all? My sleep window is from 02:00am to 07:00am and I maintain very good hygeine and environment in my bedroom. Many people experience severe and persistent insomnia. It may feel like you’re the only one with the problem, and that’s a very lonely feeling. But I assure you there are many others. I am not a doctor or therapist, so I do not treat people with insomnia. However, having written a book about sleep and insomnia, I do know quite a bit about these topics and am happy to share what I know. Many people with severe chronic insomnia find that their condition improves when they go through cognitive behavioral therapy for insomnia, or CBT-I. Up to 80 percent of the people who try it obtain some benefit from it, and I was one who benefited a lot. Before, my sleep was very irregular. But for the past 10 or so years (I went through CBT-I in the fall of 2007), my sleep has been remarkably regular, and my daytime symptoms of insomnia are mostly, but not entirely, things of the past. I don’t get 7 hours of sleep a night—but I’ve never needed that much. However much I get feels like enough because the quality of my sleep is good. About sleep staging, it’s impossible for us to know how much REM and non-REM sleep we’re getting without the assistance of technology. An overnight sleep study (polysomnography) can determine how much REM and non-REM sleep we’re getting at night. Sleep trackers that are sold commercially claim to be able to do this—but they may not produce very accurate readings, especially for people with insomnia. Regarding sleep medication, it can be helpful when used short term or sparingly. Unfortunately, many sleeping pills degrade the quality of sleep when used nightly over long periods of time. That’s one of the reasons doctors are hesitant these days to prescribe them. The two cups of coffee I drink in the morning do not keep me from sleeping at night. Last, vigorous daily exercise is beneficial to sleep. If being active is not a part of your daily routine, find some type of exercise you can enjoy, and set aside at least 30 minutes a day to do it. Good luck with finding ways to improve your sleep and get rid of your daytime symptoms. I am on the first week of SRT and it has been very difficult. I sleep every other night, one night I’ll sleep 2.5-3 hours and the next night I’ll slee 6. I have no problem falling asleep- the only problem I have is staying asleep. My sleep window is from 12 am-6 am. My problem is that I am too fatigued to work out during the day, I have also noticed that I’ve been getting more anxious/depressed as I’m going through SRT. I wake up with heart palpitations and tend to find myself with racing thoughts. Is this normal? I am working with a sleep psychologist, but wanted to hear your experience along with everyone else’s experience on here. I love these positive stories, which has encouraged me to keep going. Good for you for taking yourself in hand and going through SRT for insomnia. Many people experience the first couple weeks of SRT as difficult, and I did, too. My sleep anxiety, which by then had been a part of my life for decades, was sky high. A couple times I remember waking up with my heart pounding and my thoughts racing. After the first few nights of getting very little sleep, I felt frustrated and my mood was pretty low. As for whether any of this is “normal,” since I’m not a sleep therapist, I can’t say. But the difficulties you’re experiencing sound similar to mine. If hearing about people’s experience going through SRT is what you’re after, in chapter 8 of my book, The Savvy Insomniac, I’ve written a detailed documentation of what it was like for me to go through SRT and what it was like for others who were going through SRT with me (I went through therapy with a group of people, so I saw the process through others’ eyes as well as my own). This might be a good resource if lived experience is what you want to read about now. I’m sorry you’re too fatigued to work out during the day. Daily aerobic exercise really helped to regularize and consolidate my sleep. I’m not sure I would have made the gains I made without it. Would you at least have enough energy to try a 20-minute walk every day? Walking might help both your sleep and your mood. My overall suggestion would be to stick with the SRT program, following all the rules. It shouldn’t be too long before you start to see some benefits. Thanks so much for your words of encouragement. I did buy your book from Amazon, and read chapter 8. This is one of the hardest things I have ever done in my life. Did you experience chest pain from anxiety as well? The hardest part of the program is getting out of bed after 15-20 min. I was plenty anxious about sleep but my sleep anxiety didn’t cause chest pain. I was quite aware of other anxiety symptoms, though: bodily warmth, a tingling in my arms and legs, a feeling of vigilance. The hard part of the CBT-I program for you, getting out of bed after 15 to 20 minutes of not sleeping, was also hard for me. In fact I think it’s probably hard for most people whose anxiety about sleep contributes to sleep onset insomnia. The 15-20-minute rule derives from a component of CBT-I called stimulus control therapy (SCT). It’s one of the oldest behavioral therapies developed to treat insomnia, and it has a very good track record. But my personal feeling is that for people who’ve developed great anxiety about sleep, it can exacerbate that problem, interfering with—not leading to— the improvement of sleep. The good news is that the other behavioral component of CBT-I—sleep restriction therapy (SRT)—has been found to be a very effective treatment for insomnia—whether or not it’s combined with stimulus control therapy. So it might be helpful for you if you concentrated more on simply observing the rules of sleep restriction, adding time to your sleep window in conformity with the guidelines, and not worrying so much about complying with the 15 to 20 minute rule. If you’re working with a sleep therapist, I’d suggest expressing your concerns and seeing what advice he or she has to offer. Thank you so much for all of your support! I love your book and was impressed with all the details! I do have a CBTi therapist I am working with, he advised me to do Sleep Restriction while we tackle the anxiety in parallel. I will keep you posted with my progress. I’m glad you’re making progress with SRT. Doing the deep breathing exercises when you wake up in the middle of the night sounds like a very good way to coax yourself back to sleep. One thing you mention at the end of your comment is a difference in room temperature. There is some research suggesting that people with insomnia may have a hard time regulating body temperature. So it’s always best at night to keep your bedroom a little bit cooler than you would during the daytime, as people tend to be sleepiest when their body temperature is falling and/or lower than it generally is during most of the daytime. Keep following the SRT program and chances are you’ll be happy with the results. Thanks for the update!